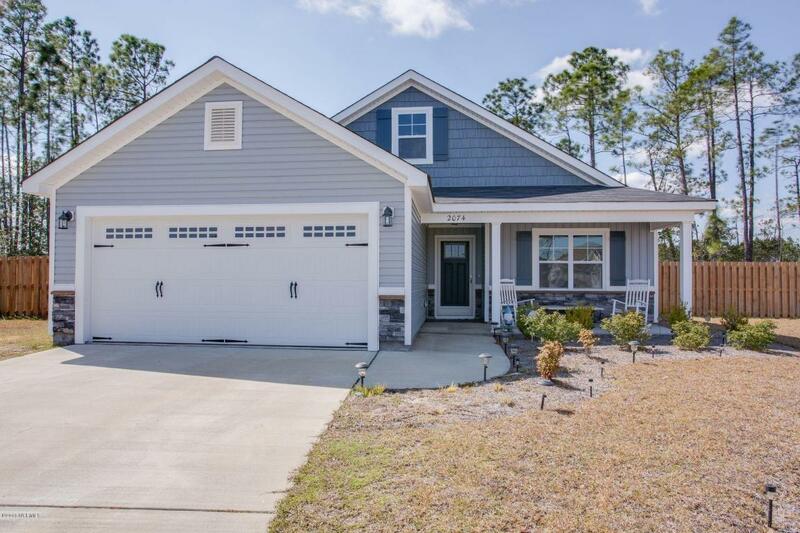 Lovely craftsman style home with rocking chair front porch, stone accents and carriage style garage door. 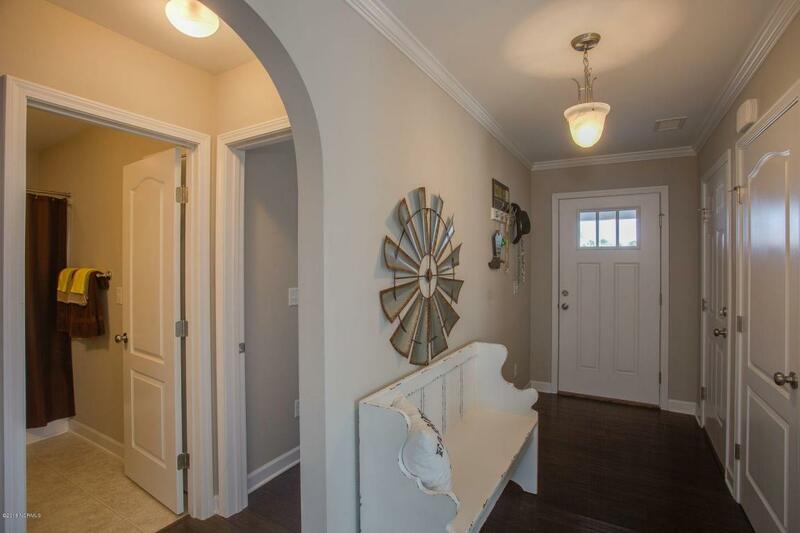 The home features a foyer entrance with beautiful dark hardwood flooring flowing throughout the home. 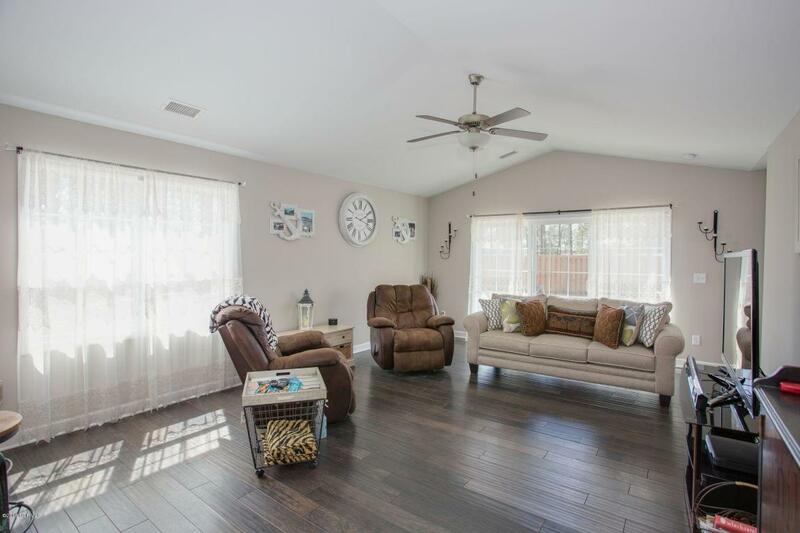 The living area is bright and spacious with a vaulted ceiling, lots of windows and a triple sliding door leading to a backyard patio. The kitchen features stainless appliances and dark maple cabinets with brushed nickel hardware, breakfast nook and sliding doors opening to a second patio. The master suite has a trey ceiling , walk-in closet, dual vanities and a garden tub. The cul-de-sac lot is just under a half acre. 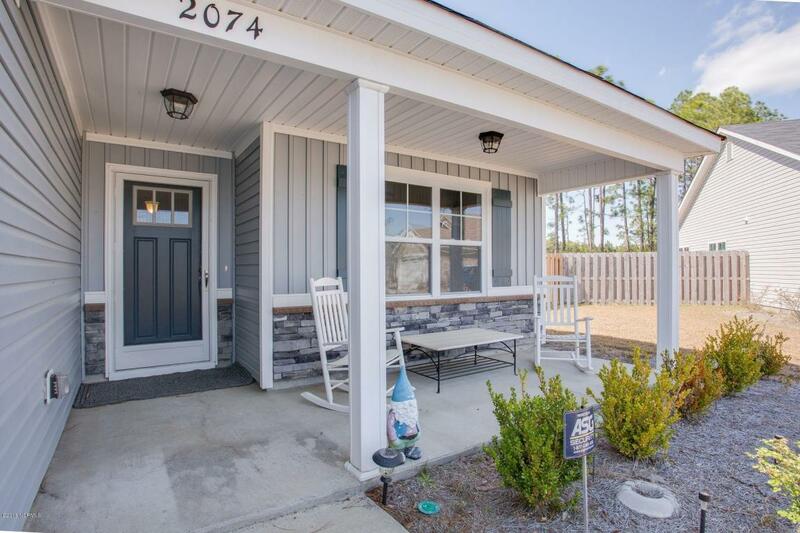 The property extends beyond the fence, includes past the tree line all the way to the flag pole.The neighborhood offers low HOA fees and great amenities including, outdoor pool, clubhouse, playground and picnic area. Listing provided courtesy of Aimee Freeman of Keller Williams Realty.